In this page 3rd grade worksheet you can find mixed question in all the topics.Each of the sheets are given in the form of quiz. Online math 4 all gives collections of work sheets from all the grades.You may practice each set of worksheets and also you check your answers that will help you to evaluate the knowledge. Parents should not tell them the difficulties of learning any topic.Because this will give bad impression in that topic and the child will imagine that topic will be more difficult as you said.We need to set good environment to learn with fun.3rd grade worksheet will give good experience to you and you can learn with fun. 3.Which of the following equals 20? 4.The emerald necklace is more expensive than the diamond ring but less expensive than the ruby bracelet. Which piece of jewelry is the least expensive? 5.Johnny is 19 years old. Kevin is 5 years older than Jenifer and 2 years older than Johnny. How old is Jenifer? 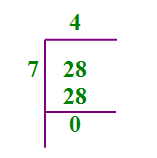 6.The product of 2 numbers is 20 and their difference is to be 1. What are the two numbers? 8.Which of the following clocks shows the time 11:10 ? 10.If the side of the square is 4cm then what will be its perimeter ?